Zep. The Stones. The Who. Traffic. Beatles. Animals. Elton John. Moody Blues. All your old faves, whose careers were shaped by American R&B, provide the material for this album of covers by American singer Bettye Lavette. It's a curious conceit, but it works… and quite well. Pink Floyd covers soul? Not cool. 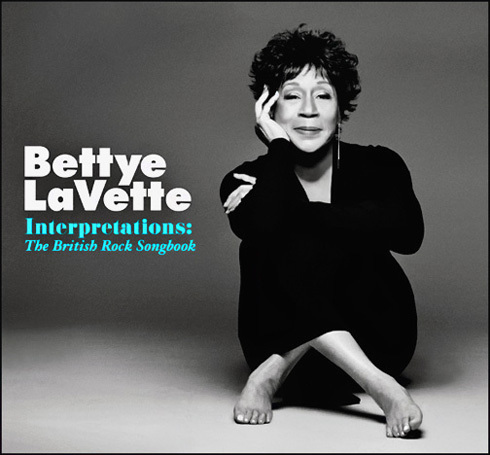 Bettye Lavette covers Pink Floyd? Cool. That's just the way it works, pal. I couldn't wait to hear what she did with "Maybe I'm Amazed," "Why Does Love Got to Be So Sad," "Wish You Were Here," "Don't Let Me Be Misunderstood"—the13 tracks on Interpretations are like the playlist for a "classics rock" radio station. And seriously, not one disappoints. Even "Nights in White Satin"—the unbearable theme of countless high school proms throughout the '70s—sounds good here. When Lavette sings, "You wanna sing the blues/You gotta pay some dues/'Cos it ain't coming easy," "It Don't Come Easy" sounds a lot harder than it did in the hands of Ringo. Same with George Harrison's "Isn't It a Pity" and McCartney's "Maybe I'm Amazed." And Floyd's "Wish You Were Here." These are great songs that have justifiably stood the test of time. But Lavette gives them weight. I imagine this is the sound, even in these dramatically reworked arrangements, that these R&B-loving songwriters heard in their heads when they wrote these tunes. Now my mind reels at the possibilities. Just as Ella created the classic collections dedicated to Ellington, Gershwin, Rodgers & Hart "Great American Songbook" tunesmiths, perhaps Bettye Lavette can do the same for Townsend, Jagger & Richards, and all the other Brits who had all the goods but one: soul.